First of all the compact size of Cape Cod Style Onion Wall Lanterns OL8 make then an excellent choice to illuminate the front entryway of a smaller home. Furthermore we offer the petite Onion Wall Lights OL6 which you can easily pair with it at a secondary entrance. Or if you live in a larger residence, consider placing the larger Brass Onion Wall Lanterns OL12 or New England Style Onion Wall Lights OL10 at the front entryway with the smaller OL8 at a side or back door. 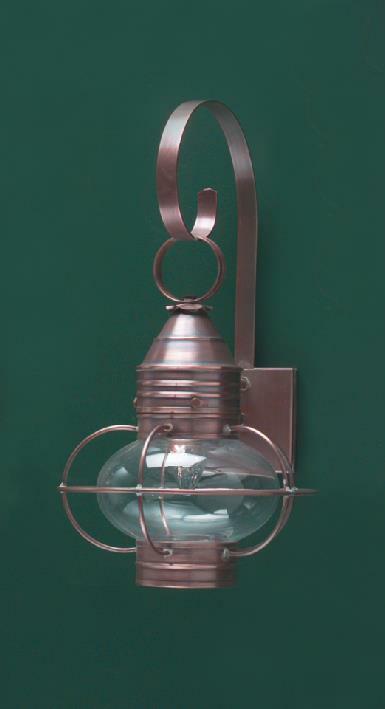 With our Colonial Onion Wall Lights you have several options to complement the exterior of your home. Especially relevant we handcraft Colonial Onion Wall Lanterns from solid copper and brass. Thus by nature they resist corrosion and will last for years to come. 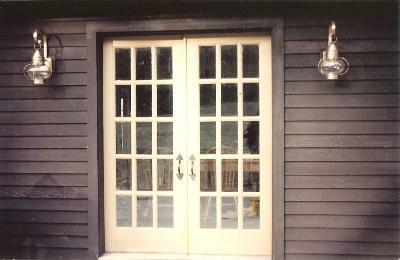 Many customers commonly purchase Colonial Onion Lights to place on the outside of the home. However they are an attractive option throughout the interior as well. The simple yet classic design blends well with any of our Colonial Wall Sconces or Colonial Ceiling Lights. Also in addition to wall sconce Onion Light models, we offer a selection of Hanging Copper Onion Lights. Thus you can mix and match a Hanging Onion Lantern and a Colonial Onion Wall Light within any space. While we do offer a selection of Onion Post Lights, any of the Colonial Post Lanterns in our collection are suitable to pair with Colonial Onion Wall Lights. Consequently you can choose the perennial favorite Colonial Boston Post Lantern P103 or the popular Colonial Post Lantern Small Sturbridge P102 to light the way. If you prefer a rustic look consider Cape Cod Copper Post Lanterns Pyramid PP119. Another primitive style to consider is the Colonial Post Light Williams PW103. With so many options to choose from you will always find the perfect Colonial Style Post Lanterns at Hammerworks.